Elsie Delores Mason is the First Lady of Evergreen Bible Way Church, Louisa, Virginia. She and her husband, Pastor Mason has been ministering together for 25 years. First Lady Mason and Pastor Mason are a team who are yoked together to do God's work. In her current position as President of the Missionary Auxiliary, First Lady Mason is known throughout the community for her role in carrying the gospel of comfort and deliverance to hospitals, jails, and convalescent homes. 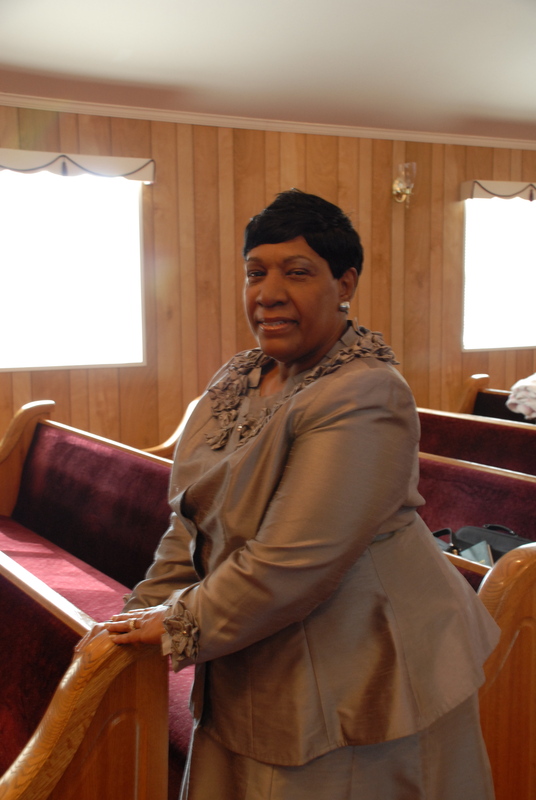 First Lady Mason is also the District Mother, for the Western Division of Bible Way Churches in the state of Virginia. Always reaching out to others, she enthusiastically embraces her role as District Mother and spokesperson for the Western Missionary Department. First Lady Mason is a "diamond with many facets". This Anointed Woman of God is also an entrepreneur. First Lady Mason is the founder and owner of Mason's Catering Services. Her culinary skills are in great demand. She has catered banquets, birthday parties, and weddings throughout Virginia. First Lady Mason is a living testimony of the miraculous healing powers of God. She is a true believer, that "Nothing is impossible for God".